HomeTrendingYay or Nay: Will you watch the new movie about Bato in the theater or possibly on Netflix? Yay or Nay: Will you watch the new movie about Bato in the theater or possibly on Netflix? General Bato dela Rosa is President Rodrigo Duterte’s first police chief who led the Philippine National Police (PNP) to launch the president’s campaign against illegal drugs, dubbed the “war on drugs.” This controversial anti-drug campaign is known locally as Oplan Tokhang, which several human rights activists and political experts from all over the world condemned. It entailed thousands of alleged drug suspects being detained or killed on ground, all under Dela Rosa’s watch. The police and vigilantes have been allegedly involved in several “extrajudicial killings,” done in the name of the president’s vow to eradicate illegal drugs in three to six months after his rise to power in 2016. “Behind a strong man, is a powerful story,” the opening quote of the trailer says. Now, you will see the narrative of Bato’s life and career on film, with actor and staunch Duterte supporter, Robin Padilla as lead. But Padilla has something bigger in mind. He wanted the movie to take off further into a TV series, which, according to him, must be streamed through Netflix, the world’s leading subscription service for watching TV episodes and movies. “I really want the people to know what’s happening in the country. And on Netflix, the truth prevails [like in] Narcos, about what happened in Mexico. I really want a project so people can see not the government’s view, not the view of those who are anti-government, but my view,” Padilla said in an interview. We have a lot of questions, not just on film aspects such as the story/plot, script, cast but also on the motivation and agenda of this film. The early timing of its release is quite questionable due to the fact that Dela Rosa is running for senator. This might be a ploy to dodge election rules. How true is this true life story? Pegged as a biopic, the film aims to portray (and possibly glorify) Bato as a national hero. The dramatic scenes show how he came from a modest background and through hard work, dedication to the police force and genuine love of the country, he was able to rise to his position. Part of the story also shows how he aimed to avenge his family after deaths were caused by insurgents. 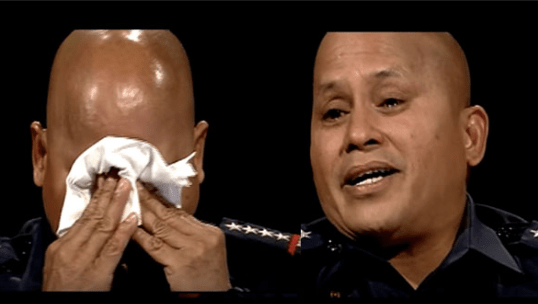 From the trailer alone, we could see Bato as a man of God, family, and of the nation. We won’t see his “blunders” like crying episodes in the senate and on screen or all the drug smuggling, illegal abduction and murder of a South Korean executive where police were involved, the police planting “evidence” and killing a young student, and rise of vigilantes that all seemed to slip his “watchful eye.” Without any nuance or subtlety, the movie is screaming a singular message: “This is why Duterte earned his trust and you should trust him too.” But how true is this “true life story?” We all know that Filipinos love a good Robin Hood and rags-to-riches story, and this might be what we will get. So is this movie really about Bato or about the Duterte administration and all that it stands for? Will you go to the theaters or subscribe to Netflix to watch it?